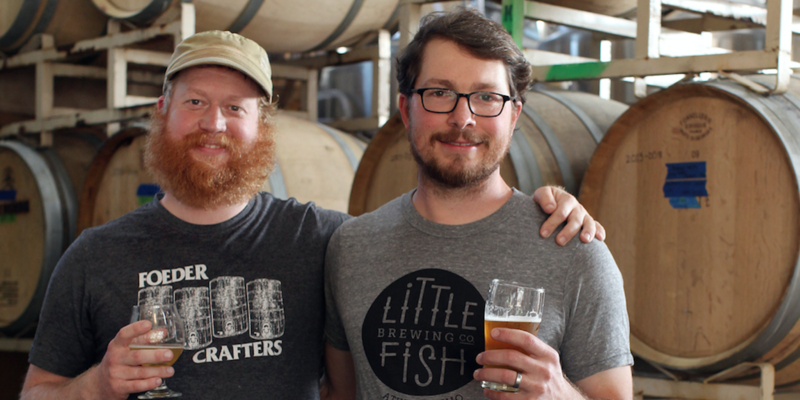 Our Story - Little Fish Brewing Co.
We (co-owners Jimmy Stockwell and Sean White) opened Little Fish Brewing Company in the summer of 2015, after 2 years of planning, financing, and building out the brewery from an abandoned mechanic’s shop. Our mission was to brew world class beer while sustainably supporting local economies. We designed several of the original core beer recipes utilizing the Ohio-grown ingredients available at the time. 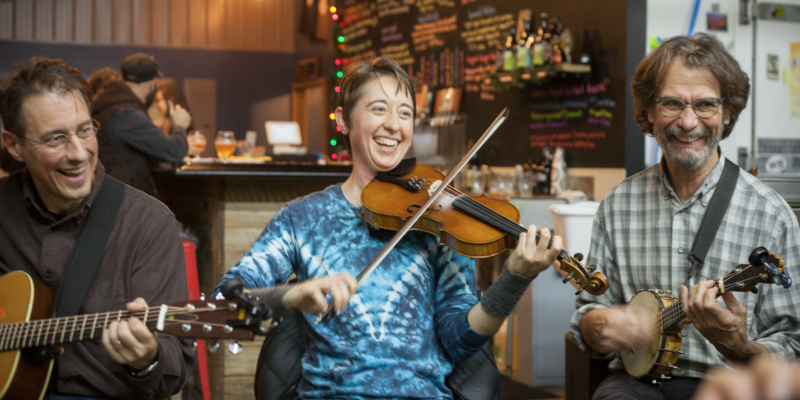 These included organic raw spelt and corn grits in the flagship Saison du Poisson and Shagbark Pilsner brews, as well as many specialty ingredients like locally grown fruits and herbs. Today, Haus Malts in Cleveland provides Ohio-grown malted barley, wheat, spelt, rye, corn, and triticale for a majority of our beers. A number of small hop farmers are also starting to supply Ohio-grown hops. In 2016, we brewed the first commercial batch of “100% Ohio-grown” beer since at least prohibition, possibly ever. 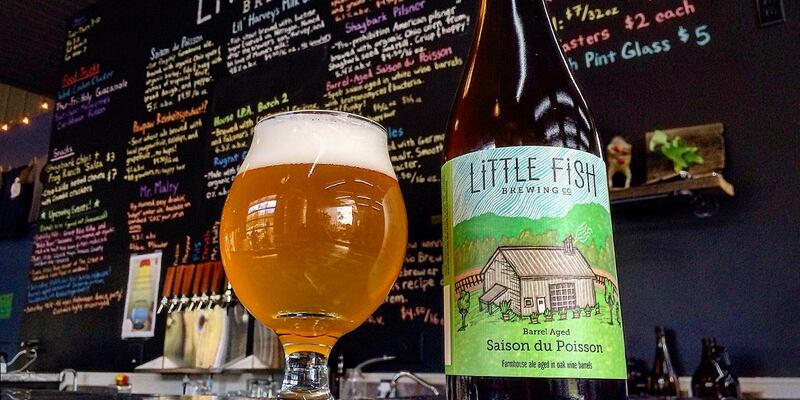 After producing a number of one-off batches of Ohio-grown beer, we are now proud to be brewing one of our flagship beers, Saison du Poisson, as “100% Ohio-grown, 100% of the time”. We designed the taproom to connect patrons with the entire brewing process. Inside, the brewing equipment occupies the open space adjacent to the bar and seating areas. 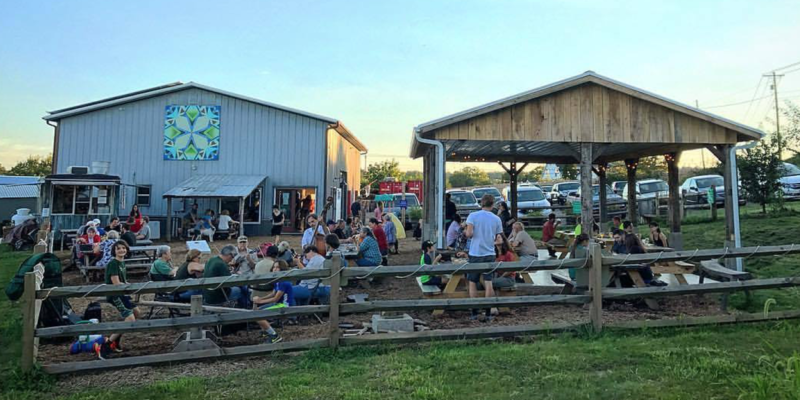 Outside, the family-friendly beer garden overlooks our hop arbor, fruit trees, bike path, and the city-owned reclaimed wetland. 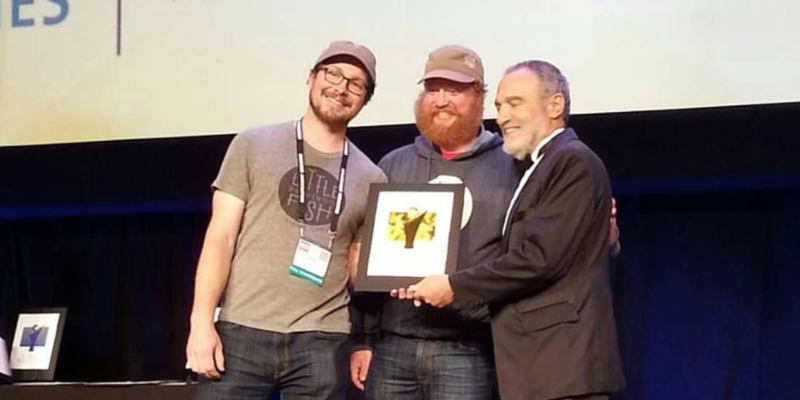 Awards include the 2016 World Beer Cup Gold Award in the Belgian- and French-style Ale category, Athens News Reader’s Choice Awards Best New Business, and RateBeer’s 2015 and 2016 Best New Brewery in Ohio.